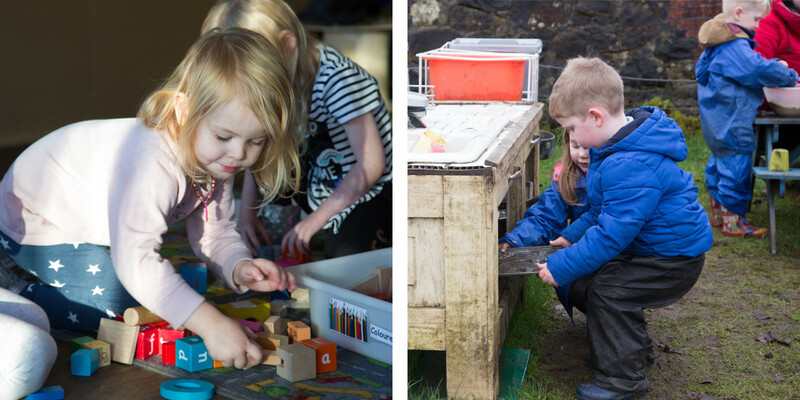 For our pre and anti-preschool children, we have a 4 playrooms and a large garden full of resources, encouraging children to be inspired, to explore and to learn through fun and play! Our rich learning environment is designed to offer a broad range of opportunities, meeting children’s interests and supporting them as individuals to engage in challenging, stimulating and fun experiences. Our nurturing and creative staff team follow the national framework of Curriculum for Excellence to plan for each individual child, ensuring breadth of experiences to encourage and support their development. 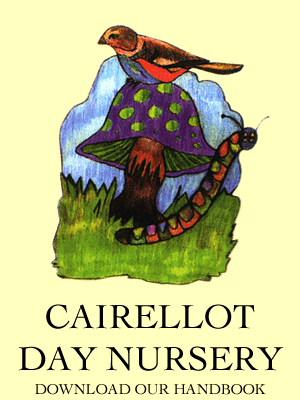 At Cairellot we love outdoor play and weather doesn’t stop us! We use our large garden and the local areas to encourage play and investigation and help keep us healthy! For our Rainbows we offer a range of different session options. We work in partnership with Renfrewshire Council and parents can choose from funded only sessions or full and half day sessions with the funded hours included.